Emma González award winning author from Edinburg. In the book, through insightful vignettes, Gonzalez tells of the struggles of her family and her upbringing, crediting her friends and several teachers in Ovid, Colorado. The story was also redistributed as a children’s edition. 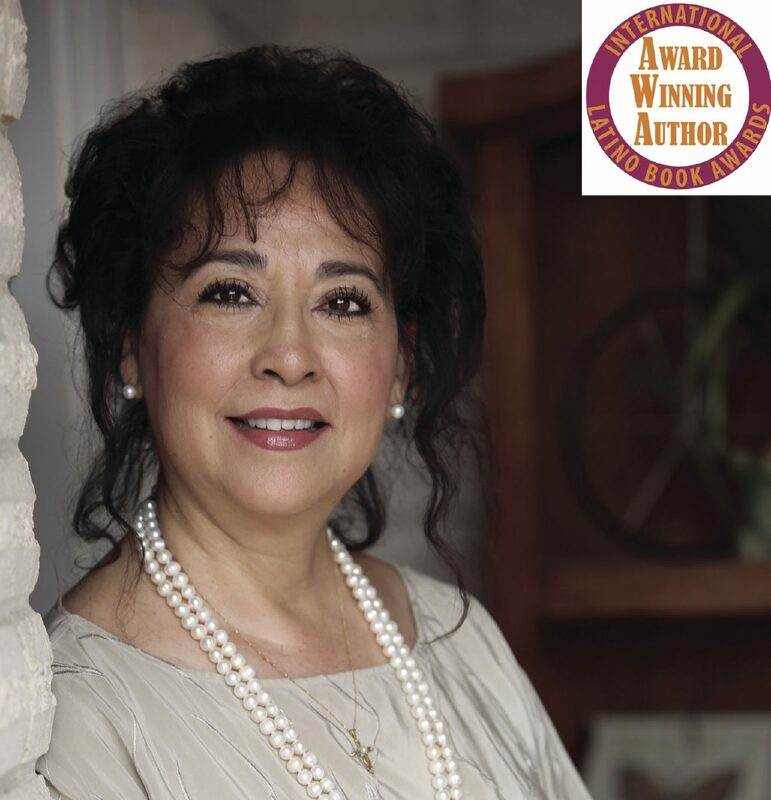 The Edinburg resident will be honored next week with two International Latino Book Awards from the Latino Literacy Now Foundation in Los Angeles, co-founded by Edward James Olmos. “Field Mice” won Most Inspirational Novel and the children’s edition won Most Inspirational Book for Young Adults. González’s next book, “Paths of Pearls: After The Migrant Years” is scheduled for publishing. In it, she writes about her life after the migrating years when her parents finally settle in Edinburg. From age 15, she struggles to shoulder the financial burdens after her father’s death, to support her mother and herself, and fights to pursue her education. This new lifestyle is so unsettling for her. She draws strength from her past to survive. Festiva caught up with González ahead of her upcoming trip to Los Angeles to receive her awards. FESTIVA: Congratulations on your awards! How are you feeling about the accolades? GONZÁLEZ: I am way past over the moon, sitting on a shiny star in the nearest constellation! I could not have imagined an event such as the Academy Awards of Latino Literature and Culture select my books. I am still quite in shock, though, ecstatically elated, and I do catch myself smiling a lot! GONZÁLEZ: Mrs. Melba Snyder was my third, fourth and fifth-grade teacher in Ovid, Colorado. She and Mrs. Joan Brownell were instrumental teaching me to speak and write the English language. But it was Mrs. Snyder who worked with me longer through the early years. She continuously encouraged me to read and write, and one day, she came up to me and spoke those magic words. Clearly, I understood her heart felt wishes for me, the universe was all mine! FESTIVA: Saint Mother Teresa is a great inspiration to you. What are your earliest memories of gaining faith from her? GONZÁLEZ: I dedicated to her “Field Mice: Memoirs of a Migrant Child” because of her unyielding spirit that guided me to write my memoirs. It became the soul-searching and awe-inspiring journey of my adult life, as we both embarked on this pilgrimage of healing for me. Fifteen years ago, I won Mother Teresa’s one of a kind portrait in a raffle, and I brought it to my office at the District Attorney’s Office where I worked as crime victims’ coordinator, assisting Hidalgo County victims of crime. Her portrait hung on my office wall all those years, and over time I felt a connection with her. She had helped the needy and the dying, and was relentless in her worldly quest. I had a similar mission helping the innocent in need who had been victimized by a crime involving bodily injury. I looked up to her as my co-pilot, so to speak, to help me get through each day dealing with the pain of the victims. Little did I perceive she came to help me deal with my own pain and find forgiveness. FESTIVA: If you could tell your younger writing self anything, what would it be? GONZÁLEZ: My younger self was not ready to write anything! It wasn’t my time then to write these poignant stories, until I was lead to take that path. FESTIVA: What is the most difficult part of your artistic process? GONZÁLEZ: Time, time and more time! I can’t seem to have enough of it to complete other works I have in the pipeline. FESTIVA: What is the first book that made you cry? GONZÁLEZ: The first book that made me cry was my own book, “Field Mice.” For every other word I wrote, my tears splattered on the writing tablet. FESTIVA: What’s the best feedback you’ve received from a reader? GONZÁLEZ: My readers describe me as “courageous.” My life’s story of a migrant kid was in the making for over 50 years. For more information about Gonzalez or to purchase “Field Mice: Memoris of a Migrant Child,” visit http://countyrd34publishings.com.